Emergencies of many kinds happen to everyone, and dental emergencies are not an exception. With any emergency, you can become stressed and worried. Our staff at Morgan-Hill Dental Care want to help you with your dental emergencies and quickly relieve the stress. Call our dental office as soon as possible so we can help you get the needed treatment. First, an exam will be scheduled at the earliest possible time to determine the problem. Treatment options will be explained to you during that visit by our staff, giving you as much information as you need to make the best choice for your situation. Once a treatment plan has been decided, a follow-up appointment will be made. Please call our dental office as soon as possible so we can help. We will do our best to schedule a same-day appointment to relieve a toothache, tooth injury or any other dental emergency. Why Choose Morgan-Hill Dental Care for Emergency Dentistry? Do not touch the root of the tooth, only the crown or chewing surface. Carefully and gently rinse the tooth if it is dirty. Do not use any soap or chemicals of any kind to clean the tooth. Do not scrub the tooth, but dry it with a tissue or soft cloth. If possible, reposition the tooth into the socket as quickly as you can. Getting the tooth back into the socket as soon as possible will raise the chance of its survival. Hold the tooth in the socket with your finger or bite down on it gently to hold it in place. The tooth needs to be kept moist at all times. Do not allow it to get dry. If you cannot place the tooth into the socket, put it into a cup of milk or in the cheek of your mouth. Be sure not to swallow the tooth. If patients aren’t brushing and flossing as diligently as they should at home, they may start to experience discomfort and outright pain in one or more areas of the mouth. These instances are typically the result of advanced dental infections that will require root canal therapy to treat. 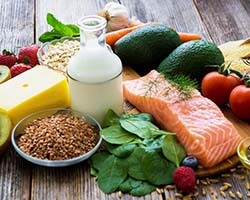 If the pain has developed suddenly, try flossing and rinsing – a stray piece of food or foreign debris may have become lodged somewhere between the teeth and gums. Please don’t hesitate to contact Morgan-Hill Dental Care for further help and to schedule an emergency appointment. At Morgan-Hill Dental Care, we’re dedicated to seeing emergency cases FAST, not in days or weeks. In fact, patients of record are welcome to contact us after-hours and on the weekends through the doctors’ personal phone numbers. 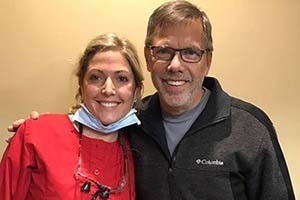 With well over 50 years of collective experience between our three dentists and our state-of-the-art technology (including CEREC® same-day restorations, all-digital X-rays, and more), patients will be in the very best of hands here in Gorham. Being told that you may need root canal therapy often frightens patients, but there’s truly nothing to be worried about. 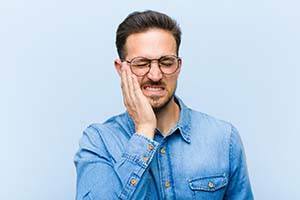 The pain that most people incorrectly associate with this procedure is actually the pain of an advanced toothache, which is exactly what root canal therapy is designed to treat. By accessing the tooth’s inner chamber and removing the diseased pulp and bacteria from within, we can preserve its natural structure and help it stay a safe and healthy part of your smile for years to come! Rest assured that your comfort will be a top priority throughout extractions, and sedation dentistry is available upon request.